We crafted the design and schematics for this innovative in-store Point-of-Purchase display. On a platform next to the Desperados product, this meticulously designed terrarium displayed a green iguana (made of resin and hand painted), sand, and wood. 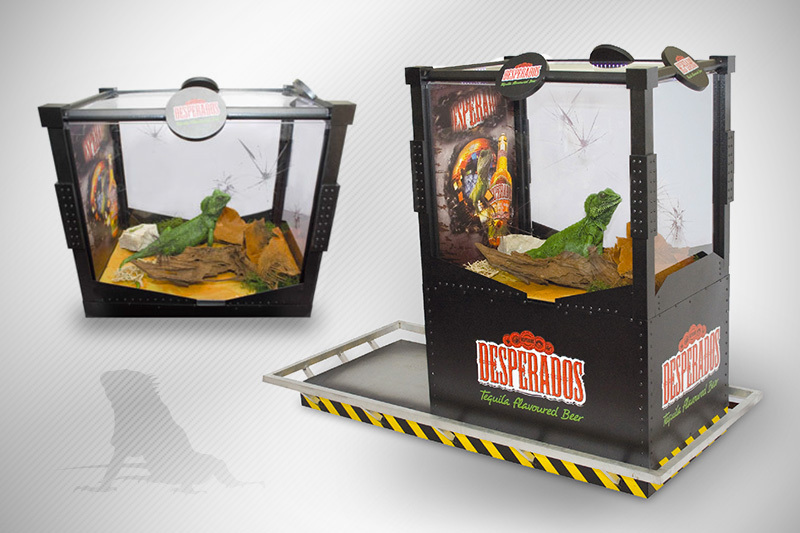 This display became hugely popular in marketing Desperados products.